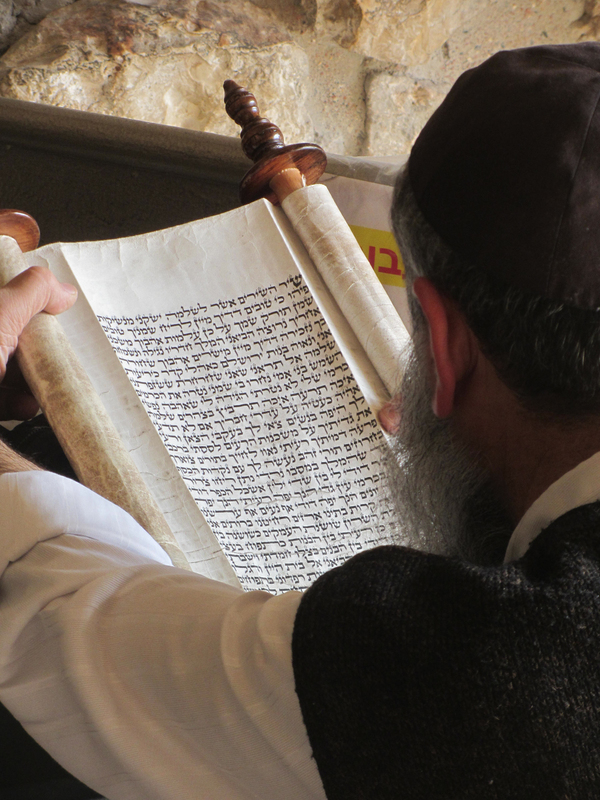 The catalyst for publishing Open My Eyes – Wonders of Torah came from the myriads of people who, in these last days, are denying the deity of Yeshua and his sonship to the Father. This is a Bible study of the first five books of the Bible or Torah that reveal Yeshua throughout its written words, it’s language and its shadows. The Torah includes the history and foundations of a Biblical faith necessary for a walk with the God of Abraham, Isaac and Jacob, the God of Isra’el and is the most obvious place to begin learning about the Creator, His Kingdom, His People, His plan of redemption and His restoration of Isra’el and to delve deeper into Yeshua and His teachings. When the Torah was written down by Moshe, he didn’t have the fullness of the Scriptures we have today with the prophets, the writings, the gospels and the letters. We have a more complete picture of God’s eternal plan while he had only a glimpse. When Yeshua became flesh and walked on earth, he only had the Hebrew Scriptures – the Torah, the Prophets and the Writings – for teaching about repentance and the Kingdom of God. Each Torah portion includes words and actions of Yeshua that prove his faithfulness to the instructions of his Father, the Torah, and his divinity. The Torah portion commentary comes from questions my family asked, searched out, and may even still have. Because Biblical names and Hebrew words have unique meanings different from English, Hebrew Word Pictures are included that illuminate those nuances. 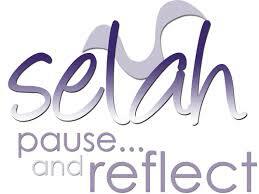 Selah, meaning ‘pause and think about this,’ are also found throughout the text. At the end of each parashah, traditional readings from the prophets as well as the new testament readings are listed along with a suggested midrash. In Hebrew, each letter has a word picture based on its shape. After learning the word pictures through the book Hebrew Word Pictures by Frank T. Seekins, I replaced the ‘roman numerals’ of the 10 Commandments with the numerical word pictures. In this way, I saw the commands in a new and unique way. This is how I taught my children the 10 Commandments after teaching them the Hebrew alphabet. Remembering a concept with a letter was easier than remembering the order and phrases of the commands. This is only MY interpretation of things – it’s not ‘set in stone.’ I also included a New Testament verse with each command as there are some who say that one of the commands (specifically Sabbath) was not reiterated by Yeshua. This is the first letter of the Hebrew alphabet. The Hebrew letter picture is an Ox. The Ox is symbolic of strength leader, first. Yahweh is the One and only God, the first strength. There is no other God like Him. The Hebrew letter picture for Bet is a Tent or House. It symbolizes a household, in, into and a family. In Egypt, the gods were called ‘household gods’. Rachel was guilty of sitting on hers when Laban came to Jacob. The Hebrew letter picture for Gimel is a Camel and means ‘camel.’ The symbolic meaning is to lift up or pride. “Some of the traveling Jewish men who adjure evil spirits also undertook to call the name of the Lord Yeshua over those who had evil spirits, saying, I solemnly implore and charge you by the Yeshua whom Paul preaches! Seven sons of a certain Jewish chief priest named Sceva were doing this. But one evil spirit retorted, Yeshua I know, and Paul I know about, but who are you? Then the man in whom the evil spirit dwelt leaped upon them, master two of them, and was so violent against them that they dashed out of that house in fear, stripped and naked and wounded” (Acts 19:13-16). We, as believers in Yahweh are not to pridefully use His name, but to respect it. When we live lawlessly, against the commands, and call ourselves by His name, we are misusing His name and profaning it among the people with whom we live. The Hebrew letter picture for Dalet is a door and Dalet is means ‘door.’ The symbolic meaning is a door, pathway, or a place to enter. “Then Yeshua said to them, ‘The Son of Man is Lord of the Sabbath” (Luke 6:5). “There remains, then, a Sabbath-rest for the people of God; for anyone who enters God’s rest also rests from his own work (of creation), just as God did from his” (Hebrews 4:9,10). Yeshua stands at the ‘dalet’ and knocks. For anyone who opens the door, he enters in and feasts with them (Revelation 3:20). Sabbath is the first Feast listed in Leviticus 23. The Sabbath is a ‘door’ we enter so we can have a more intimate relationship/fellowship with the Father. The first three commandments are about how to love the LORD and the last 6 about how to love our neighbor. The door is the pathway that takes us from one love (our first love) to the second greatest commandment of loving our neighbor. “If anyone says, ‘I love God,’ yet hates his brother, he is a liar. For anyone who does not love his brother, whom he has seen, cannot love God, whom he has not seen” (1 John 4:20). The Hebrew letter picture for Hey is a Window and means ‘to reveal’ or ‘behold’. It is symbolic of revelation and is ‘the’ like in ‘Ha Shem’ (The Name). Yeshua, on the cross, looks at John and tells him, “John, behold your mother. Mother, behold your son” (John 19:26). The Hebrew letter picture for Vav is a Nail or Peg. It is symbolic of binding and securing, and the connector ‘and’. It is found in phrases like ‘chesed v’ahava’ (mercy and love). Yeshua was nailed, secured to the cross. “Do not murder, and anyone who murders will be subject to judgment.’ But I tell you that anyone who is angry with is brother will be subject to judgment” (Matthew 5:22). The Hebrew letter picture for Zayin is a Weapon like an axe. It is symbolic of dividing or cutting off. “Therefore what God has joined together, let man not separate (cut apart)” (Mark 10:9). The Hebrew letter picture for Chet is a Fence or Inner Room. The symbolic meaning is to keep private or to separate. “He who has been stealing must steal no longer, but must work, doing something useful with his own hands, that he may have something to share with those in need” (Epheisans 4:28). Fences keep one neighbor’s things from another. A fence protects and keeps certain things in and other things out. In Hebrew thought, the Torah is considered a ‘fence’ because it guards those who walk in its ways. The Torah protects from the deceptions of the outside world and guards the inner chamber of the believer’s heart. The Hebrew letter picture for Tet is a Snake. It is symbolic of twisting or surrounding. Exodus 20:16 “You shall not bear false witness (lie) against your neighbor. “You belong to your father, the devil, and you want to carry out your father’s desire. He was a murderer from the beginning, not holding to the truth, for there is no truth in him. When he lies, he speaks his native language, for he is a liar and the father of lies” (John 8:44). The ‘father of lies’ twists the truth. We are not to surround our neighbors with lies, twisted truths, and false testimony. The Hebrew letter picture for Yod is a Closed Hand. This is symbolic of a finished work or deed. “Let your conduct be without covetousness; be content with such things as you have. For He has said, ‘I will never leave you nor forsake you” (Hebrew 13:5). Be content with what your hands have completed and don’t desire what the work of others has brought to them. Yeshua taught his followers to pray the well-known “Lord’s Prayer” found in Matthew 6:9-13. This prayer, though often thought to be ‘new’, actually follows the traditional Jewish outline for tefillah (prayers). Thus, our Jewish Savior gave his Jewish (and non-Jewish) followers a completely Jewish way to pray to his Father, our Abba, the Creator of the Universe. Our Father in heaven! May your Name be kept holy. Tavo malkhutekha, ye’aseh r’tzonekha ba’aretz ka’asher na’asah vashamayim. May your kingdom come, your will be done on earth as in heaven. These first phrases resemble the kaddish, an ancient Jewish prayer. Like all Jewish prayers, it begins with acknowledging the Creator of the Universe who is our Father in heaven followed by sanctifying His ‘set apart’ Name, the יהוה . The coming Kingdom of God is the rule of God’s Spirit in, through, and over the hearts of men. This is the ultimate fulfillment of the ‘new covenant’ found in Jeremiah 31:31 and will bring forth God’s will on earth as it is in the heavenly realm – obedience to His commands that are part of His Kingdom rule. Give us the bread we need today. U’selach-lanu et-ashmateinu ka’asher solechim anachnu la’asher ashmulanu. Forgive us our sins just as we are forgiving those who sin against us. Yeshua taught in Luke 6:38 that we will receive the same measure that we measure out. This not only includes how we use our gifts, but also includes forgiveness. Yeshua also made it clear that unless we forgive others, God will not forgive us. This part of the tefillah is a mirror to our hearts and is in the present progressive as the process of forgiving continues 70 x 7. Ve’al-tevieinu lidei massah, ki im-hatzileinu min-hara. And lead us not into temptation, but deliver us from the evil one. Massa is translated as ‘test or temptation,’ but can also mean ‘despair’ as in the ‘melting of one’s heart.’ This phrase does not suggest that we be kept from trials, but that as we go through them our hearts are changed or melted and be delivered from falling into despair and becoming bitter or angry. Hatzileinu min-hara is more than being drawn into evil inclination, but a deliverance from the Evil One who is the root of our evil inclinations and tries to steal all glory from God. Ke lakha, hamamlakha, vehageverah, veha tiferet l’olemei ‘olamim. For kingship, power and glory are yours forever. The conclusion of this prayer reflects the prayer and praise of King David in 1 Chronicles 29:11-13 when he dedicated the first Temple in Jerusalem. Selah means ‘pause and carefully weigh the meaning of what is written …” As you read what is written on Tent Stake, please ‘pause and carefully weigh’ whatever is written. There are nuggets of gold and there are probably lumps of coal, but it is for you to study and know the Truth for yourself. Those writings that convict and challenge, seek the Lord’s wisdom in how to proceed into a deeper walk with Him. May you be blessed and encouraged in your walk of faith with the Messiah of Israel, Yeshua. The Psalms use Selah 71 times; Habakkuk, 3. Below are some selah. May you be blessed to find one that causes you to stop, pause and think about. “Who may ascend the hill of Yahweh? Who may stand in his holy place? He who has clean hands and a pure heart, who does not lift up his soul to an idol or swear by what is false. He will receive blessing from Yahweh and vindication from God his Savior. Such is the generation of those who seek him, who seek your face, O God of Jacob. Selah” (Psalm 27:3-6). “Who is he, this King of glory? Yahweh Almighty— he is the King of glory. Selah” (Psalm 24:10). “To Yahweh I cry aloud, and he answers me from his holy hill. Selah” (Psalm 3:4). “From Yahweh comes deliverance. May your blessing be on your people. Selah” (Psalm 3:8). “You have granted him the desire of his heart and have not withheld the request of his lips. Selah” (Psalm 21:2). “You rebuke and discipline men for their sin; you consume their wealth like a moth— each man is but a breath. Selah” (Psalm 39:11). “In your anger do not sin; when you are on your beds, search your hearts and be silent. Selah” (Psalm 4:4). “Then I acknowledged my sin to you and did not cover up my iniquity. I said, “I will confess my transgressions to Yahweh”— and you forgave the guilt of my sin. Selah” (Psalm 32:5). “Therefore we will not fear, though the earth give way and the mountains fall into the heart of the sea, though its waters roar and foam and the mountains quake with their surging. Selah” (Psalm 46:2-3). “Yahweh Almighty is with us; the God of Jacob is our fortress. Selah” (Psalm 46:11). “He chose our inheritance for us, the pride of Jacob, whom he loved. Selah” (Psalm 47:4). “But God will redeem my life from the grave; he will surely take me to himself. Selah” (Psalm 49:15). “And the heavens proclaim his righteousness, for God himself is judge. Selah” (Psalm 50:6). “He sends from heaven and saves me, rebuking those who hotly pursue me; Selah God sends his love and his faithfulness” (Psalm 57:3). “But for those who fear you, you have raised a banner to be unfurled against the bow. Selah” (Psalm 60:4). “Therefore let everyone who is godly pray to you while you may be found; surely when the mighty waters rise, they will not reach him. You are my hiding place; you will protect me from trouble and surround me with songs of deliverance. Selah” (Psalm 32:6-8). “I long to dwell in your tent forever and take refuge in the shelter of your wings. Selah” (Psalm 61:4). “Trust in him at all times, O people; pour out your hearts to him, for God is our refuge. Selah” (Psalm 62:8). “For the director of music. With stringed instruments. A psalm. A song. May God be gracious to us and bless us and make his face shine upon us …. Selah” (Psalm 67:1). “May the nations be glad and sing for joy, for you rule the peoples justly and guide the nations of the earth. Selah” (Psalm 67:4). “Praise be to Yahweh, to God our Savior, who daily bears our burdens. Selah” (Psalm 68:19). “Blessed are those who dwell in your house; they are ever praising you. Selah” (Psalm 84:4). “You forgave the iniquity of your people and covered all their sins. Selah” (Psalm 85:2). “Yahweh will write in the register of the peoples: “This one was born in Zion.” Selah” (Psalm 87:6). “Once for all, I have sworn by my holiness— and I will not lie to David— that his line will continue forever and his throne endure before me like the sun; it will be established forever like the moon, the faithful witness in the sky.” Selah” (Psalm 89:35-37). “I spread out my hands to you; my soul thirsts for you like a parched land. Selah” (Psalm 143:6). “You came out to deliver your people, to save your anointed one. You crushed the leader of the land of wickedness, you stripped him from head to foot. Selah” (Habakkuk 3:13). You are currently browsing the archives for the Scriptures category.